Dr Wafa Samen | Compassionate care for women, at every stage of life. Compassionate care for women, at every stage of life. 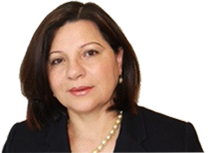 Dr Wafa Samen is a Fertility Specialist, Gynaecologist and Obstetrician in Sydney. Fluent in Turkish and Arabic, Dr Samen is particularly sensitive to the needs of the Islamic community. If you have any concerns with your reproductive system, whether it’s problems with your menstrual cycle, fertility or menopause, Dr Wafa Samen can help..
As a specialist with IVFAustralia, I can provide my patients with the best fertility specialist support and access to leading assisted reproductive technology..